Post traumatic stress disorder has been known for centuries. Homer in “The Illiad,” written around the 8th century BC, describes post traumatic stress in the final days of the Trojan War. More recently in the First World War it was called shell shock. In fact military veterans were the first to bring post traumatic stress to the attention of the medical community. But although it has been known for more almost three thousand years, it has only recently come to be viewed as a mental injury. Post traumatic stress disorder results from extreme trauma. It can be caused by anything from a car accident to the violence experienced in war. But PTSD doesn’t occur only in people who have directly experienced a traumatic event. Witnessing such an event is often enough to bring on the disorder. Children as well as adults can experience PTSD. It comes about due to feelings of helplessness and intense fear. When Does Post Traumatic Stress Appear? PTSD often manifests itself within about three months of the traumatic event, but in some people it can take years to appear. Some individuals recover after a few months; for others it is significantly longer. Extreme cases require therapy. PTSD has a range of symptoms. In spite of this, PTSD can be difficult to diagnose because the emotional and psychological problems may manifest as physical issues. The victim relives the experience repeatedly. It can appear in dreams at night, but also while the victim of PTSD is wide awake. If the victim suffered violence, he or she may feel the blows, reporting physical pain. This more than anything can lead to an incorrect diagnosis. The victim may avoid situations or individuals who remind them of the experience. This can lead to isolation. Some victims of PTSD report numbness toward people they would otherwise be close to. The victim may be hypervigilant, irritable or prone to violent outbursts. He or she may have trouble sleeping, or react to any sight or sound that reminds the victim of the traumatic incident. This can result in physical symptoms such as elevated blood pressure and heart palpitations. In spite of the difficulties in diagnosing PTSD, many physicians are now trained to recognize it. Once diagnosed, a physician may refer the victim to a psychotherapist or psychologist for treatment. A doctor may also prescribe antidepressants or anti-anxiety drugs. Treating PTSD typically involves learning the skills to manage the disorder. 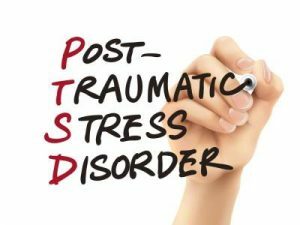 While post traumatic stress disorder can be beaten, in some individuals this process can take a great deal of time. In this type of therapy, the patient learns to change thought patterns and behavior. CBT has proven to be very effective in some cases, and require less time to produce results than some other forms of therapy. Here the patient relives the traumatic experience in a safe environment. This allows the patient to confront it and become more comfortable in recognizing that the trauma can no longer cause harm. There are numerous additional forms of therapy depending on the patient’s specific situation. If the patient’s PTSD is affecting his or her family, then family or group therapy may be needed. Dr. Jean-Baptiste Cossoul is the newest addition to our staff here in Hong Kong. He specializes in psychological issues including post traumatic stress disorder and a host of other conditions, including sleep disorders, depression, and anxiety.